The family of a man who died shortly after being arrested is being helped by campaigners against deaths in custody. 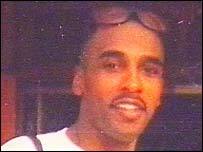 Factory worker Michael Lloyd Powell, 38, died in Birmingham's City Hospital after he was arrested at his home. His body was expected to be released to his family on Friday after further tests were carried out on the body. Now the family is being offered help by the London-based campaign group Inquest. 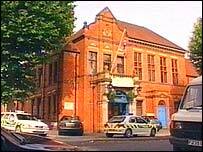 Birmingham coroner Aidan Cotter opened a hearing on Thursday into the death. Mr Cotter told the Birmingham inquest, which was also attended by Mr Powell's sister Sharon and mother Claris, that the first post-mortem had made only preliminary findings and was not conclusive. A second post-mortem was being conducted by three pathologists. Mr Powell, known as Mikey, had no diseases, the coroner said. He added that there was a degree of "cardiac failure" when Mr Powell died - but that did not show the cause of death. Although the Police Complaints Authority (PCA), who are also investigating the death, confirmed on Wednesday that Mr Powell had been struck by a police vehicle during his arrest, Mr Cotter said: "He has no significant injuries that were definitely caused by this. "Some external visible marks could have been caused in that way, but there are no significant features that allow the pathologist to confirm that. "The cuts on the (Mr Powell's) arm appear to be consistent with contact with broken glass. "It is more likely that these were caused by contact with a broken window than the shattered window of the police vehicle." Mr Cotter told Detective Chief Inspector Bill Mandeville, of Northamptonshire Police, which is heading the investigation on behalf of the PCA, that he wanted the hearing concluded by 7 March 2003. "I do not want this inquest to drag on," he said. "I do not want a situation where this inquest carries on for two years while the press are fed bits and pieces of information from different sources. "I want this inquest finished by March 7 - make sure the PCA are advised on that." Outside the coroner's court, Mr Powell's partner Marcia Williams, 34, with whom she had had three children, said he was a "family man". "All we want is justice, so we can be told how he died and why," she said. "We just want it (the inquest) to be hurried up so I can explain to the kids what happened to their father." Mr Powell was arrested at his Birmingham home after his family and friends called police and mental health experts because of his erratic behaviour. West Midlands Police were called to Mr Powell's home in the Lozells area shortly after midnight on 7 September. He was taken to a police station in neighbouring Handsworth after a struggle outside the property, in which a window of the officers' vehicle was smashed. But he collapsed while in custody and was taken to City Hospital, where he died in the early hours. 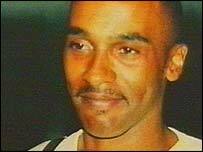 After the hearing, the family's solicitor Errol Robinson appealed for witnesses to Mr Powell's arrest. He said: "It is desperately important that witnesses come forward because I believe there are lots of other witnesses out there in the area who saw what happened. "We really need to know what happened before the police arrived, when they arrived, and after he had been taken away in the police van."